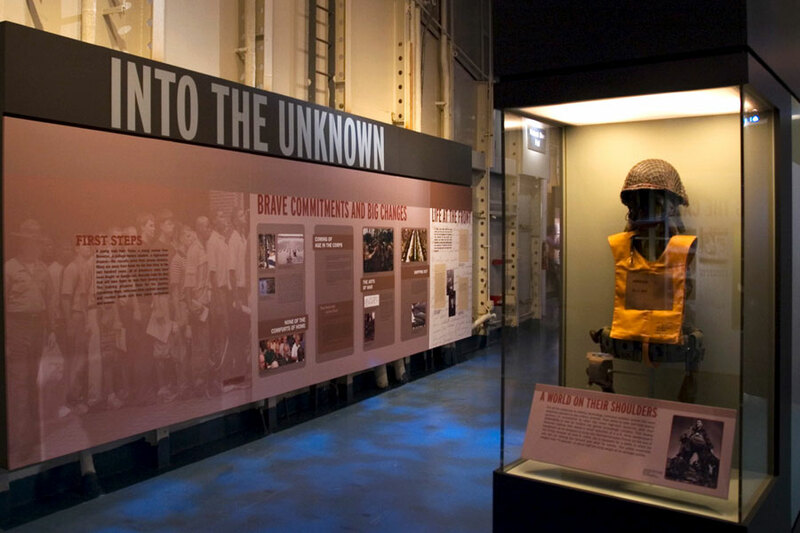 Heroic Journeys — Moey Inc.
We designed and produced this emotionally charged 8,000 square-foot exhibit that is the centerpiece of this military museum. Interwoven between actual tools of battle are seven stations, two of which are theaters that illustrate the consequences of war. In the Sacrifice Theater, video plays of veterans and loved ones discussing the losses and challenges faced in wartime. In the Honor Theater, Purple Heart recipients (or their family members) discuss the emotions behind earning the military medal. We designed the installation, conducted the interviews, and produced all the videos for the theaters.